New Mark Ronson video! LOVE THIS ONE. 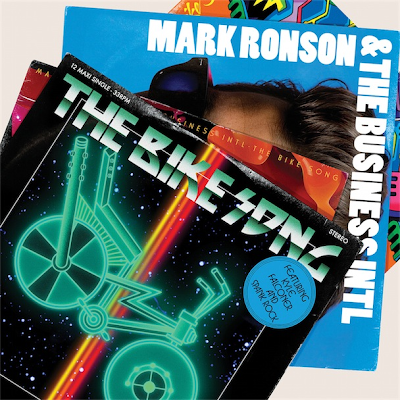 "The Bike Song" is the second official single off of Mark Ronson & The Business Intl and features a little help from Spank Rock and Kyle Falconer from Scottish band The View. The video was shot in the same vintage/retro style that first single "Bang Bang Bang" was. Nothing wrong with a little consistency, eh? The storyline is oddball and cute...a good match with the song. We first see Mark Ronson leaving the talk show he appeared on at the beginning of the last video. THEN...just like last time he uses his "magic watch"...we hear 60s Sci-Fi sound effects and BAM. Mark Ronson is riding an old bike tricked out with some magic speakers. Ronson himself is tricked out with a bleached blonde Elvis Presley Coif. Ronson rides around town before joining forces with Falconer, who's found his own magical bike. Pursuing bicycle thiefs, flirting with pretty girls...this video has all the makings of a good old-fashioned movie! "The Bike Song" comes out digitally on September 19th, followed by a physical release the next day. The album, Record Collection, comes out on September 27th in the UK and on October 5th in the U.S. I'm not sure if I can wait for this one...might have to splurge on the import. Check out the cool video below! P.S. - This will my last blog post for a while as I need to take a little time for myself...a little R&R. I'll still be tweeting and such so you're not rid of me entirely. Keep emailing me feedback/news/updates. See you in a little bit! I was THRILLED to find out that a video came out already for Cee-Lo Green's new AMAZING single "F**k You." The best part? It's unedited! "Forget You" pales in comparison to the masterpiece of the original so hopefully a "Forget You" video isn't in the works. 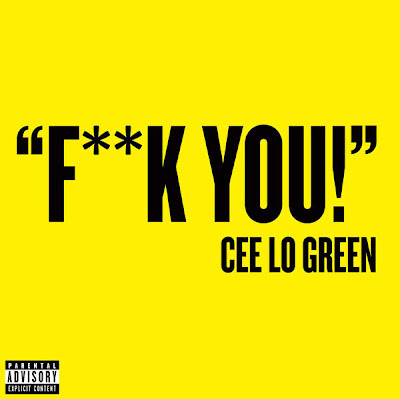 The "FU" video takes viewers on a journey from Cee-Lo's childhood, where he tried to win the affections of a pretty girl. As the video progresses, Cee-Lo and his little "heartbreaker" get older. He's still chasing after her and she's still not interested. Sad story. By the time the video ends, Cee-Lo the girl WISHES she hadn't been so superficial. The video has a very Little Shop Of Horrors feel to it...maybe that's because of the Doo-Wop girls that appear throughout...or the whole retro look it has going on. No matter...it's a fabulous video for a song that just keeps getting more awesome by the minute. Cee-Lo's new so album The Lady Killer is due out December 7th on Elektra Records.